Every Saturday I head to our local Walmart to do our weekly grocery shopping. I’d been eyeing up some scrumptious looking cupcakes in the bakery section for quite awhile now. On a recent trip, I saw cupcakes in Pumpkin Spice flavour. I knew I couldn’t resist and had to pick up a couple packages. They were practically calling out to me to buy them. Plus, it’sthe season of pumpkin spice everything so I had to take advantage of that. And I’m so glad I did! Kimberley’s Bakeshoppe makes some of the best cupcakes I’ve ever eaten! Seriously. 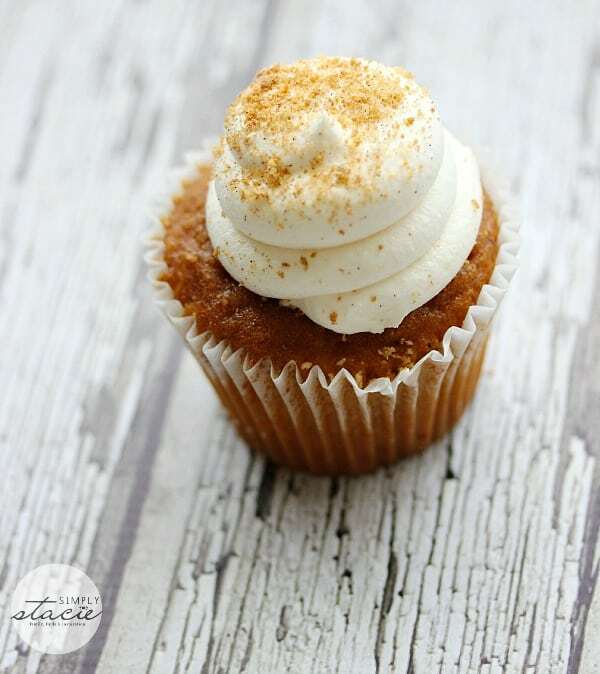 This four pack of Pumpkin Spice cupcakes are filled with real cream cheese. As I was savouring the first few bites, I thought it can’t get any better than this. Then I reached the heavenly sweet cream cheese centre and proved myself wrong. It does get better. These cupcakes are something special! They are almost too pretty to eat. Almost. Each bite was moist and full of pumpkin flavour. It’s like taking a bite into everything I love about the fall season. Topped with a cream cheese frosting (and a little surprise inside too), I licked the frosting off first and then started on the cupcake itself. I made sure to take some pictures first so you could see what they look like. Too bad taste doesn’t transfer through the screen. You’ll just have to try some for yourself and see what I mean! Kimberley’s Bakeshoppe uses only the best, high quality ingredients to create their decadent desserts. Their creations are inspired by small, independent bakers and I love how diverse the selection of flavours they have. These are no ordinary cupcakes. They have both gourmet cupcakes and every day cupcakes. 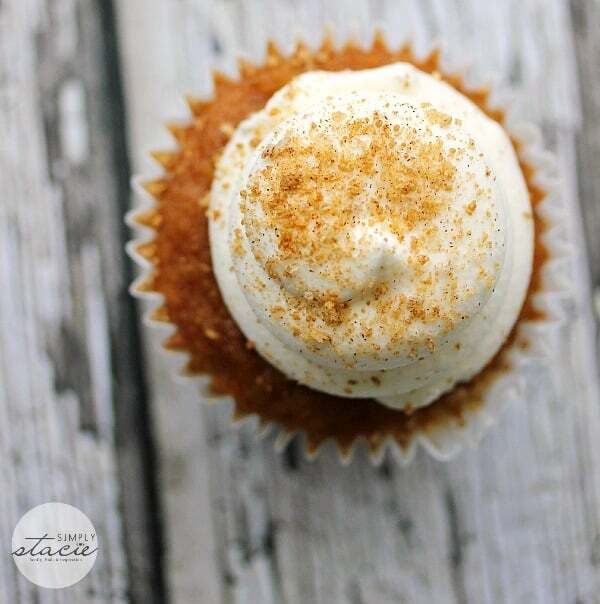 Carrot Nut Gourmet Cupcakes: A family favorite, updated. Classic, super-moist carrot cake with a hint of cinnamon, topped by crumbled pecans on a smooth cream cheese icing. Chocolate Caramel Gourmet Cupcakes (seasonal): Caramel and chocolate are made for each other. Moist chocolate cake meets a creamy caramel frosting and a rich caramel filling. Chocolate morsels complete this wondrous creation. Caramel lovers rejoice! Gingerbread House Gourmet Cupcakes (seasonal): Under the swirl frosting and candy cane décor, you’ll find a moist, hint-of-ginger cake with a smooth creamy pudding. All the wonderful flavors of a gingerbread house, rebuilt…as a cupcake. Lemon Ice Gourmet Cupcakes: This cupcake is the lemon cake you’d dream of if you dreamed about cakes. The frosting is lemon, too, but zestier. A sprinkling of tangy lemon crumbs completes the experience. Light. Fluffy. Tangy. 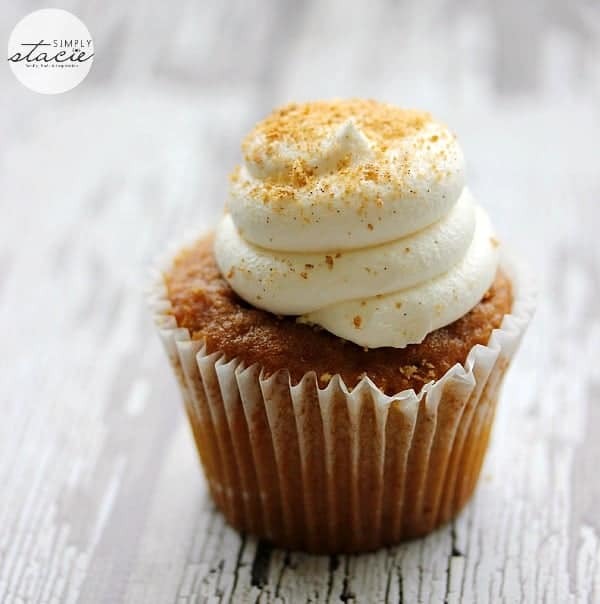 Pumpkin Spice Gourmet Cupcakes (seasonal): Just-right pumpkin taste, blended with warm cinnamon and clove. Inviting cream cheese frosting with cinnamon crumbs will make you want seconds. Red Velvet Gourmet Cupcakes: This cupcake is grown-up, red velvet perfection: intensely moist red velvet cake, together with real cream cheese icing, then sprinkled with red velvet crumbs. You’ll want to linger over this one. Strawberry Cream Gourmet Cupcakes (seasonal): This cupcake is made with a moist, golden vanilla cake with just the right amount of sweetness and a fresh, summer strawberry filling inside. It’s topped with vanilla bean frosting and a lighthearted strawberry swirl. An understated and unforgettable summer treat. Triple Chocolate Gourmet Cupcakes: Decadent, moist chocolate cake with a rich, chocolate fudge center. On top: real chocolate morsels nestled in (what else?) a luscious chocolate frosting. After chocolate, what else is there? Vanilla Bean Gourmet Cupcakes: Moist vanilla cake is a delight for every vanilla lover. Golden cake with a creamy vanilla center topped with a smooth frosting from Madagascar vanilla beans, of course. Celebration Chocolate Cupcakes: Superbly moist cake in the classic chocolate everyone loves. Fluffy, smooth icing with sprinkles like tiny balloons are the taste of fun. Celebration Vanilla Cupcakes: So good, so universally loved, there’s really no need to find anything to celebrate. This moist vanilla cake topped with smooth icing and balloon sprinkles will have everyone smiling. Is it wrong of me to want to try them all? 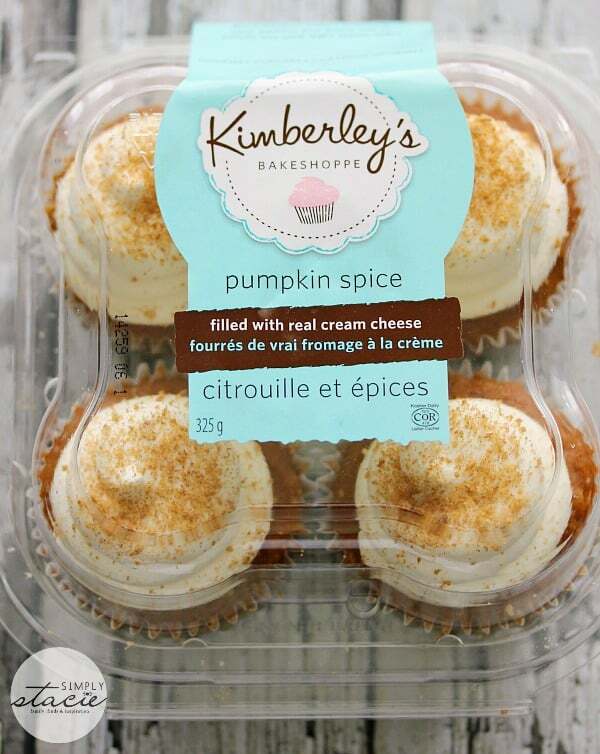 Kimberley’s Bakeshoppe creations are available in Kroger stores in the USA and at Walmart stores across the USA and Canada and retail for $4.99 for a pack of four cupcakes. 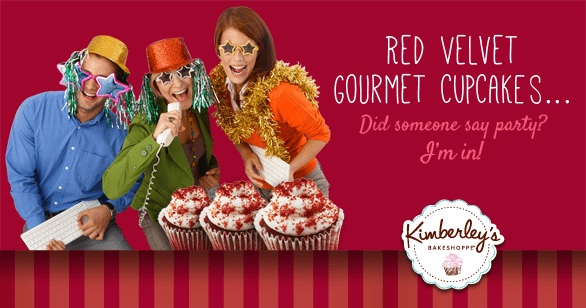 Kimberley’s Bakeshoppe has a fun quiz and contest happening right now about finding out your cupcake personality! Take the fun quiz and be entered to win over 800 prizes including five $1,000 Crate & Barrel Gift Certificates! I took the quiz and discovered my cupcake personality is Red Velvet! Learn more about each cupcake personality on the infographic below! Take the quiz and enter the contest! What is your cupcake personality? Connect with Kimberley’s Bakeshoppe on Facebook and Pinterest. This post is brought to you by Kimberley’s Bakeshoppe. All opinions expressed are my own. I got the Lemon Iced Gourmet Cupcake! I got Red Velvet gourmet cupcake. I got the Red Velvet Gourmet Cupcake result. Don’t you just love pumpkin everything around fall and christmas! Reminds me how I want to try making some pumpkin cookies! I’m a Triple Chocolate Gourmet Cupcake…SO accurate, as I am a TOTAL chocoholic!!! I am a carrot nut gourmet cupcake. Looks like I’m a Carrot Nut Gourmet Cupcake. I got Red Velvet Gourmet Cupcake 🙂 Its also my absolute Favorite kind:) so funny. I’m a triple chocolate gourmet cupcake, yum!! Surprisingly I am also Red Velvet…. Im a triple chocolate gourmet cupcake! I’m the Triple Chocolate Gourmet Cupcake…too bad cause I don’t like chocolate cupcakes! LOL! I got Triple Chocolate Gourmet as my cupcake personality. Do ya’ll have ant coupons for your cupcakes, I purchase 8 cupcakes a week. I use to hate Red Velvet but your Red Velvet Cupcakes are so good I have too up my Exercise to 4 times a week. I move too Ridgeland,Mississippi and theye didn’t have the Red Velvet I had to ask them too order them and they did.